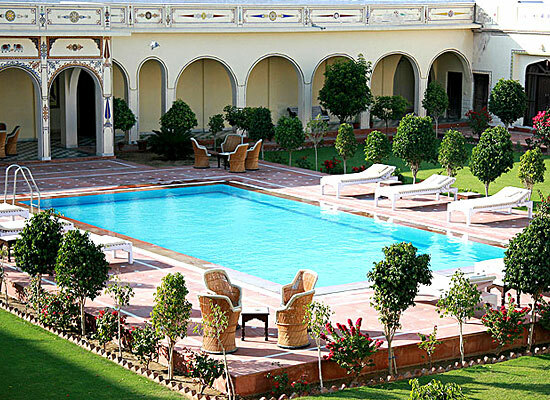 "Beautifully located in the Alsisar region of Jhunjhunu, Indra Vilas is one of the finest heritage resorts well known for providing modern comfortable stay and warm hospitality to its guests. The hotel is divided into two blocks - the upper and the lower and is one of the most preferred hotels in the city. The largest haveli in the Alsisar region, Indra Vilas Mahal is a 100-room haveli that was constructed by Indrachand Kejriwali, an affluent person of his times. The property is spread in an area of 10 acres of compound. 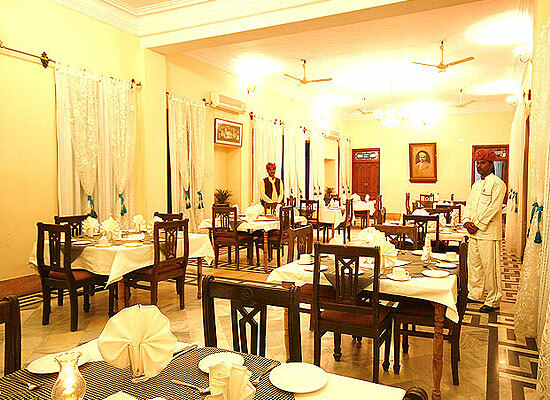 This is a wonderful place to enjoy flawless royal Rajasthan hospitality. 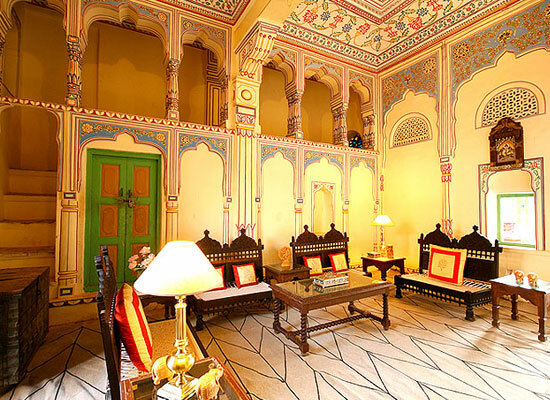 The mansion has now been renovated into a heritage hotel of Jhunjhunu. 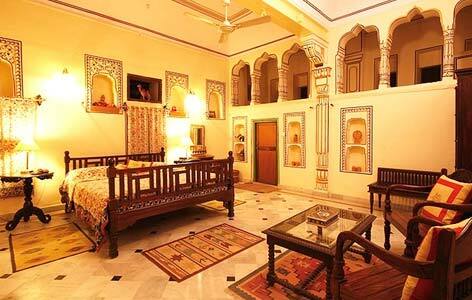 Indra Vilas Mahal, Jhunjhun has rooms and suites divided into Single room, Double room, Single suite, and Double suite. This authentic heritage mansion has spacious accommodation that is an amazing blend of vintage furniture and modern amenities. The rooms come with four poster-bed, telephone, center table and sofa, fan, air-conditioner, TV and so on. The attached bathroom comes with huge mirror, a sunken bathtub and other complimentary toiletries. 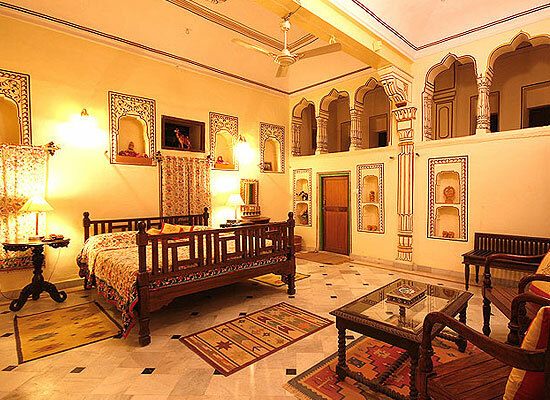 The décor of the rooms is vintage and the walls are adorned by traditional artefacts and motifs. The rooms are positioned in 2 blocks - Upper and Lower Block. The hotel has a coffee shop and a fully stocked bar. Offering culinary delights to pamper your taste buds, Indra Vilas Mahal promises its guests with a fine and an exquisite dining experience. The hotel serves wide range of Indian, Mughlai and Continental delicacies for its guests to relish and satisfy their hungry palate. The menu also includes finest of beverage.